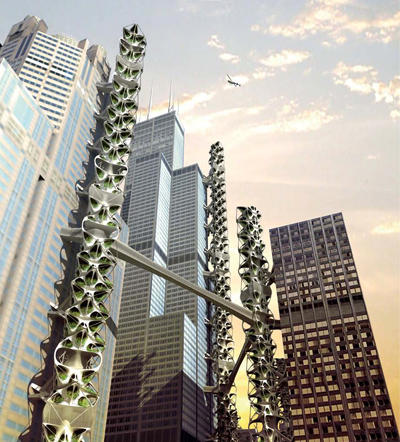 Symbiotic Interlock, Chicago. By Meta-Territory_Studio (Daekwon Park). Earlier this summer, at a city council meeting in Cupertino, California, Steve Jobs unveiled a surprisingly static rendering for the new Apple corporate headquarters. It showed an big, glass donut-shaped building set down in a lush, edenic garden. (Perhaps some of the company’s gifted product designers can be brought on board to assist.) It was a textbook example of old-school utopian architecture, a gleaming, geometric structure sheltering a privileged, self-sustaining community. And it was strangely backward-looking, reminiscent of happy utopian visions from the 1960’s, like Buckminster Fuller’s domes, that expressed an unquestioning faith in the power of technology. The new book “Utopia Forever,” which collects contemporary designs, both buildable and far-from-buildable, for future cities and landscapes, offers a far more ominous view. These are visions of a world where nature and technology are locked in continual battle, with nature more likely to come out on top. Now that we’re experiencing the first rattlings of global warming, troubled by extreme weather and dwindling natural resources, we’re more aware of the brute power embodied in earth, air and water. So the new utopias don’t offer blueprints for ideal communities so much as fundamental propositions for survival. Some are vessels floating above or sunk beneath rising oceans. FLAKE HOUSE, 2006. By OLGGA Architectes. Is the small house the new McMansion? With our diminishing faith in the economy and growing passion for sustainability, big, splashy houses have lost much of their luster and small, uniquely-designed homes are becoming increasingly desirable. Mimi Zeiger’s book “Micro Green: Tiny Houses in Nature” collects some innovative new designs that are small in scale but not it attitude. Short of not building anything new at all, building at a smaller scale is the surest way to reduce a building’s environmental impact. 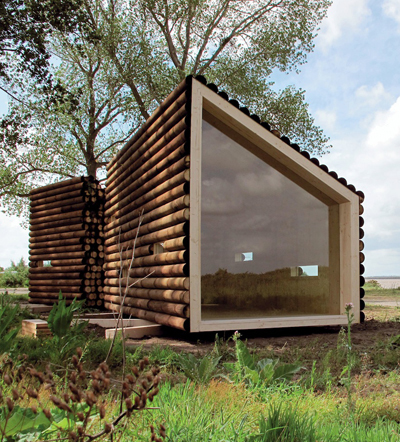 Smaller buildings use less materials and energy, and are less disruptive to native ecologies. Small houses call on designers for expert space planning. And they call on the people living inside of it to make some significant lifestyle adjustments, like using a single space for multiple purposes, and keeping and storing fewer things. There’s simply no room for dining rooms, linen closets, and hot tubs. These homes also require a fundamental emotional shift, accepting that a small house doesn’t compromise one’s identity or quality of life. In that sense small house living has a lot in common with apartment living, something that city-dwellers are already accustomed to. SOLTAG Exterior. 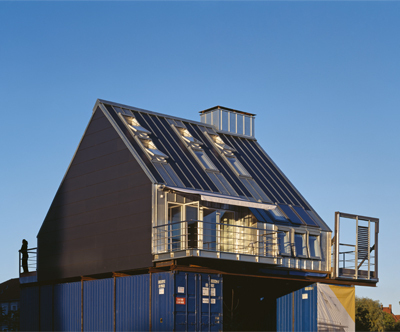 SOLTAG Energy Housing, Horsholm, Denmark. Nielsen and Rubow, Cenrgia, Kuben Byfornyelse Danmark, and Velux Danmark. There’s a mystifying number of terms used to describe green architecture and its components: renewable, sustainable, energy-saving, Energy Star, carbon-neutral, LEED-certified. 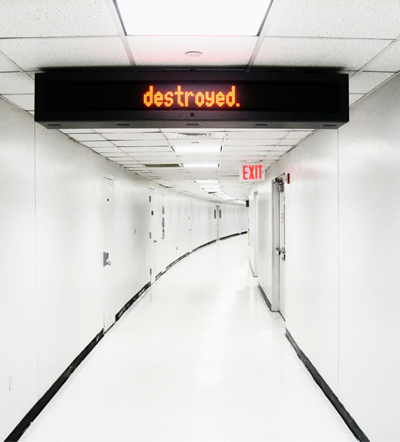 Perhaps the most powerful term is zero-energy, or net-zero, which describes a building that takes no energy annually from the power grid and has no carbon emissions, so that it doesn’t burden existing systems and pollute. A new book, “Towards Zero-Energy Architecture: New Solar Design” by Mary Guzowski, takes a look at some contemporary buildings that meet this goal without sacrificing style. Designers and builders can work to achieve zero-energy by installing appliances and heating and cooling systems that use minimal energy, and others that produce their own energy and can even contribute surplus energy back to the grid, like photovoltaic panels, geothermal wells and solar water heaters. But the most powerful strategies, and the ones more likely to shape the character of a building, are ones that incorporate so-called passive means to control light and heat, like site orientation, roof overhangs, operable windows, and shutters. Since heating, cooling and lighting are a building’s greatest energy loads, responding strategically to the sun and its movements is an important step to get to zero-energy. In the introductory passage to the book Moby says that touring is decidedly unglamorous, that it is weird and isolating. Indeed many photos give off a sense of alienation and loneliness. They are taken at the airports, in hotel rooms, and at concerts. They are thoughtful and meditative and give off a certain sense of quietness. The pictures that depict concert audiences seem as if Moby pressed a pause button in the middle of the concert in order to reflect on his surroundings. 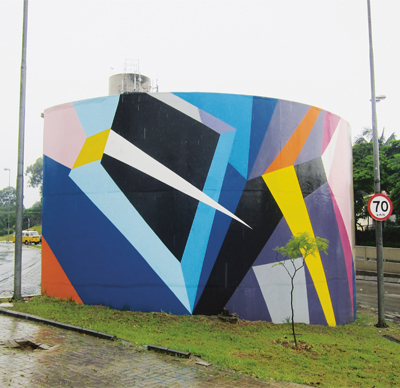 Contrary to first impressions, Abstract Graffiti is not just another book about street art. Artist, writer and curator, Cedar Lewisohn has opted to take a rather inventive approach to the oversaturated phenomenon by delving into the art history of emerging abstract trends. Rather than rehash the evolution of graffiti, or compile a list of major players in street culture, the book takes an academic slant and “seeks to draw parallels between artists who are working in complementary ways”. Separated by various stylistic tendencies (Retro Pop, Sci-Fi Expressivism, Folk Surrealism, Recyclomaniacs), the book is far less coffee table book than it is art history primer. Dominated by interviews with artists, writers, activists and one London judge, Lewisohn concerns himself more with individuals who’ve had a pivotal or lasting impact on the abstract side of the movement, rather than any media-hyped superstars. In other words, Abstract Graffiti is more about the hows and whys, and less about the whos. Concurrently, Lewisohn isn’t shy about raising some of the tougher questions: Is graffiti still a crime? How does East and West influence style? Despite its recent spike in mainstream popularity, is street art still a form of protest? Does it belong in a museum? Can abstraction be political? Ari Marcopoulos, the Amsterdam born, New York based photographer, has made a career out of documenting street culture around the world. 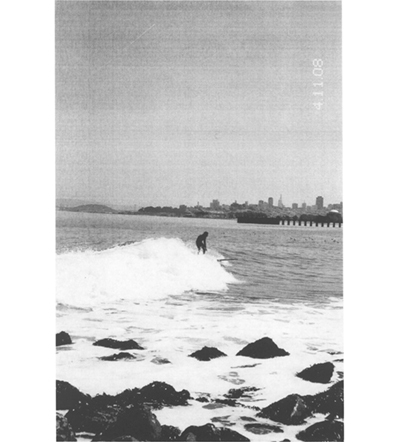 His new book, Ari Marcopoulos: Directory (Rizzoli New York, $65) travels the familiar terrain of skinny adolescent bodies, skateboards, and graffiti. Speaking of which, there are so many graffiti shots in the phonebook-sized tome, that it makes even me, a seasoned New Yorker comfortable with street culture, wish we had a better sanitation department. The book is a limited run of 2,000 copies. Each copy comes with a print (as in from a computer printer), but each is hand-signed by the photographer. The tome includes 1,200 of Marcopoulos’ recent photographs, some of which are fantastic – especially those that show the unadorned intimacy of teenagehood. Still, half way in you may get bogged down and wish for a better editing job. I don’t know what the magic number of pages is, but I don’t like it when a book becomes an exercise in page-turning. The unexpected treat of the book is Neville Wakefield’s writing that provides commentary on some photos. He has a keen eye and a way with words. To wit, from a paragraph about an admittedly arresting photo of a wave breaking against the Hokkaido seafront, “Only the railing holds us back from its seething, roiling energy, from the suicidal beauty that is the urge to submit to such pounding violence.” I’ll drink to that. In his latest novel, T. Coraghessan Boyle considers the real life story of the National Park Service’s systematic slaughter of wild animals. To be clear, the species in question at the center of When the Killing’s Done are the invasive rats and non-native pigs whose presence has disrupted the ecological balance on Anacapa and Santa Cruz, two of the Channel Islands off the Southern Californian coast. Getting rid of these pests, according to the argument presented by the Park Service, would enable a return to the conditions as nature intended, before the arrival of sheep herders and shipwrecked gold prospectors introduced the undesirable creatures in the first place and set off a chain of habitat-altering ramifications. 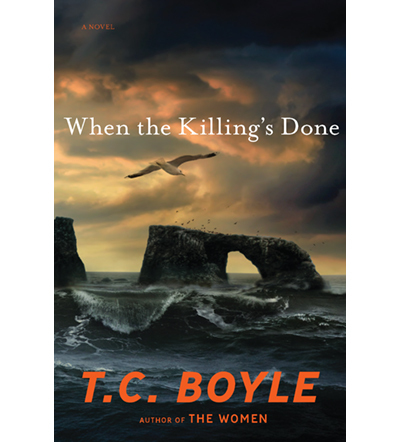 Using this highly contentious campaign to frame the story, Boyle constructs a fictional tale of characters touched by the arguments over which lives are worth saving and just when it is reasonable to play God. Alma Boyd Takesue, the good-intentioned Park Service biologist who supports the extermination process, is pitted against the hotheaded and dreadlocked animal rights activist Dave LaJoy and his band of perfervid followers. The battle lines are drawn, the passions are intense, and nearly everyone, no matter their position on the killing, is out for blood. Animals verses animals, humans taking on animals, and finally, humans up against humans – the conflicts presented here make this only the latest in Boyle’s literary explorations of the complexities present where fights over nature occur. Vivid watercolors seep into the page and emerge with life. Page by page a menagerie of wild creatures reveal themselves: a baby fawn, a pig, a parrot and many more, each one rendered in the same colorful wet wash technique. 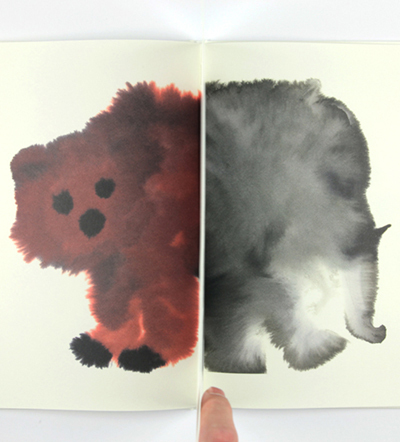 Rop Van Mierlo’s book, Wilde Dieren (Wild Animals), showcase this illustrator, graphic designer and animator’s talent in all fields. Each critter is embodied with the sensation of watercolors soaking into the paper. Displayed with immediacy, the animals spring to life from their minimal white background. Van Mierlo attended the Design Academy in Eindhoven studying “Man and Communication,” as well as the Willem de Kooning Academy, where he studied Graphic Design. His modern education has taught him to “ask questions and not give answers” and has yielded impressive work. The red McCaw’s wings look blotchy and soaked and the tiger seems to drip his strips, each creature taking on a new kind of life. This 34 page book is a unique living experience, every beast as absorbing as the next. It’s been a brutal winter across much of the United States, with storm after storm blanketing great stretches of the country in glacial layers of white. But at a higher latitude, there’s a different story being told. The National Snow and Ice Data Center has reported unprecedented lows in the Arctic sea ice extent for the month of December, dating back to its first satellite observations. And temperatures in normally frozen regions have been as much as 18 degrees Fahrenheit above average, making the Arctic a hotspot for increased concern. As Sara Wheeler tells it, the snow-capped top of the globe has traditionally found itself at the center of controversy. 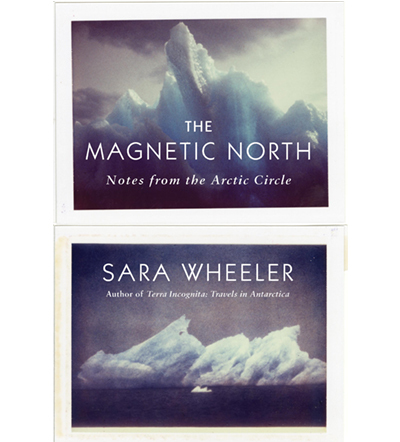 In her newly released travelogue The Magnetic North, she tells of the territorial disputes, displaced societies, political persecution, and cases of environmental destruction that have all centered on the Arctic throughout history. Today’s news is mirrored in countless affairs of the past. Consider that before the far north became a battleground between nations over claims to oil and natural gas reserves, it was home to a chain of Cold War era Distant Early Warning radar stations set up by the enemy superpowers and was the shortest path between the continents for potential ballistic missile launches. Or keep in mind that long predating the polar bear’s endangerment at the hands of climate change and before pollutants like PCBs found their way into the Arctic food chain, Elizabethan merchants hunted and depleted whale populations for their oil and land mammals for their fur in the Canadian Arctic.